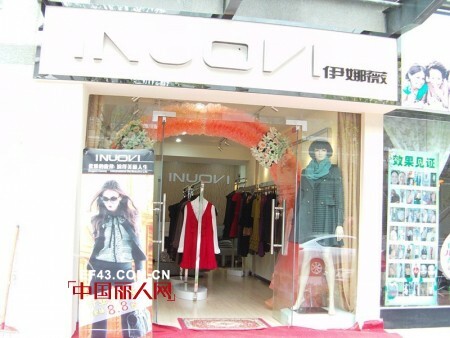 Inuovi has always insisted on the spirit of fashion into a unique costume to show the beauty of the urban women's temperament, and is committed to inheriting the classic Italian fashion culture and explore China when playing lifestyles. Ina Wei Yunnan Kunming shop is now open, inviting you and Ina Wei to experience the bright Italian fashion life. As an independent fashion, if you do not know Inova Iu Wei, then you may have OUT. Inna Wei landing Kunming mean? Means that you can experience Inaway's bright Italian style fashion at close range at home, which means Kunming ladies are likely to have the same series of beautiful clothes as many famous female stars, which means their relationship with fashion will change from Sublimation of material consumption into a real cultural experience. Interior design - Inherited the innovative style of the Italian fashion, Inari store repair concepts and image design rich in creativity and dreams, the overall full of understated luxury and refined elegance of the charming atmosphere, not only for the guests to bring comfortable shopping atmosphere , But also to create a tremendous treasure of a woman's dream hall of fashion: interior design decorative colors white, rose gold-based style, and add fashion elements to plan space; metal and mirror material use, not only expanded the visual space is also enhanced The fashion exquisite brand image, passing elegant and comfortable modern modern atmosphere.